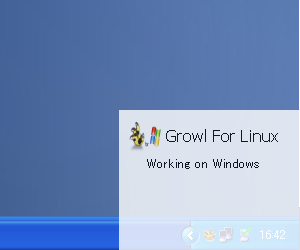 Growl For Linux is Linux-compatible of Growl. 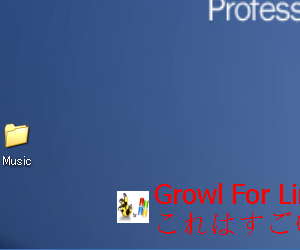 Growl is a notification system for Mac OS X. Growl For Linux require following libraries. If you are developer, then type following. 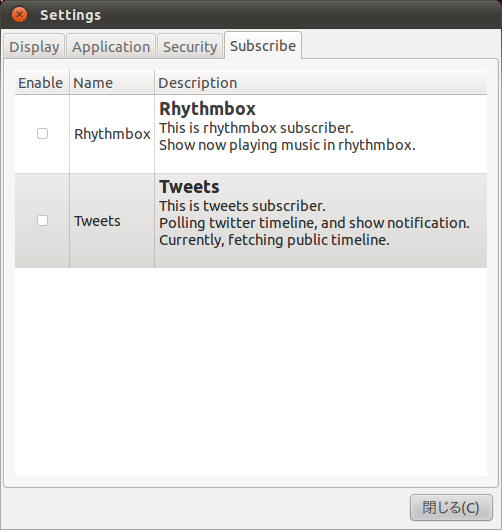 If you are ubuntu user, then type following. 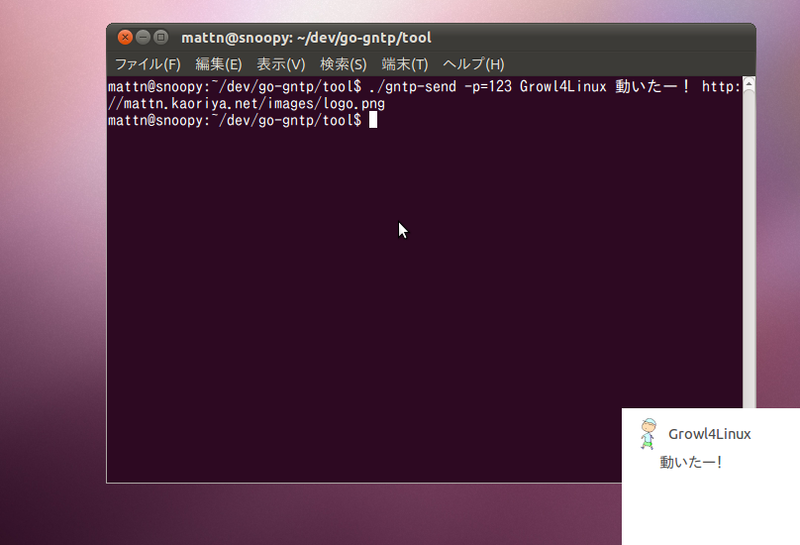 Growl For Linux supports `GNTP protocol or Growl Network Protocol(unreachable). 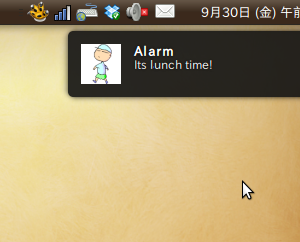 If you want to be show icon in notification, you need to use GNTP protocol. 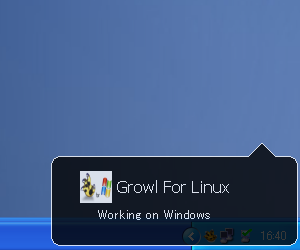 Growl For Linux supports some display plugins. 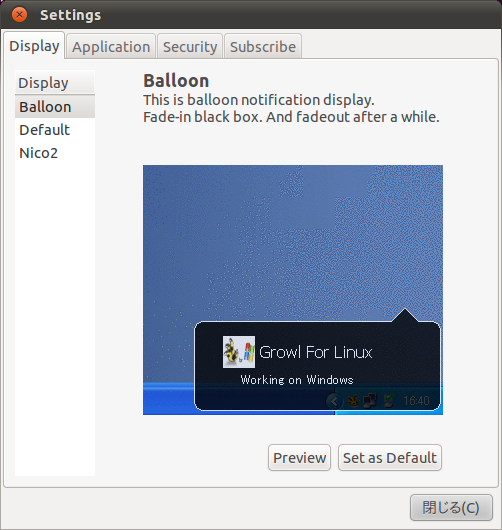 For linux, you can use NotifyOSD as display to notify the Growl. 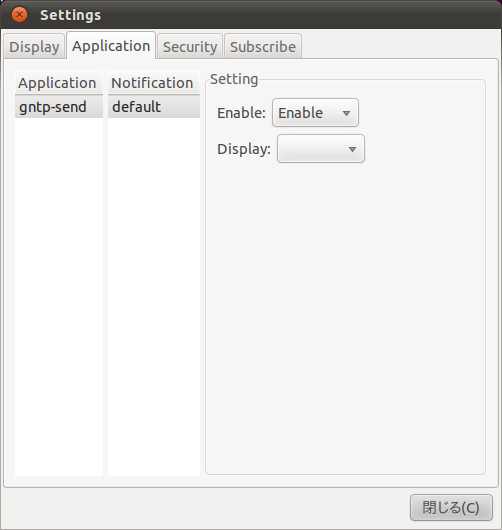 For Windwos, you can use MSAgent as display. Growl For Linux is BSD style license. see also COPYING. 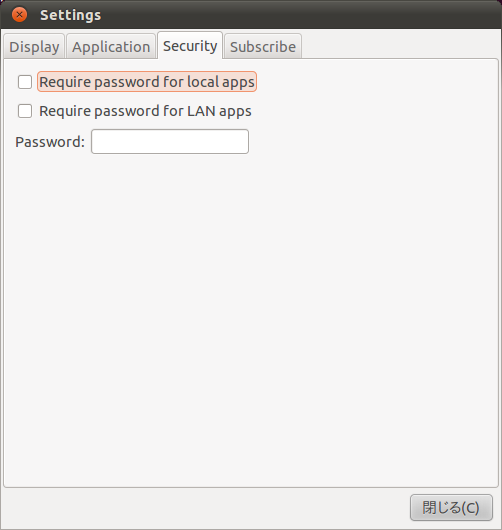 This product includes software developed by the OpenSSL Project for use in the OpenSSL Toolkit (http://www.openssl.org/).